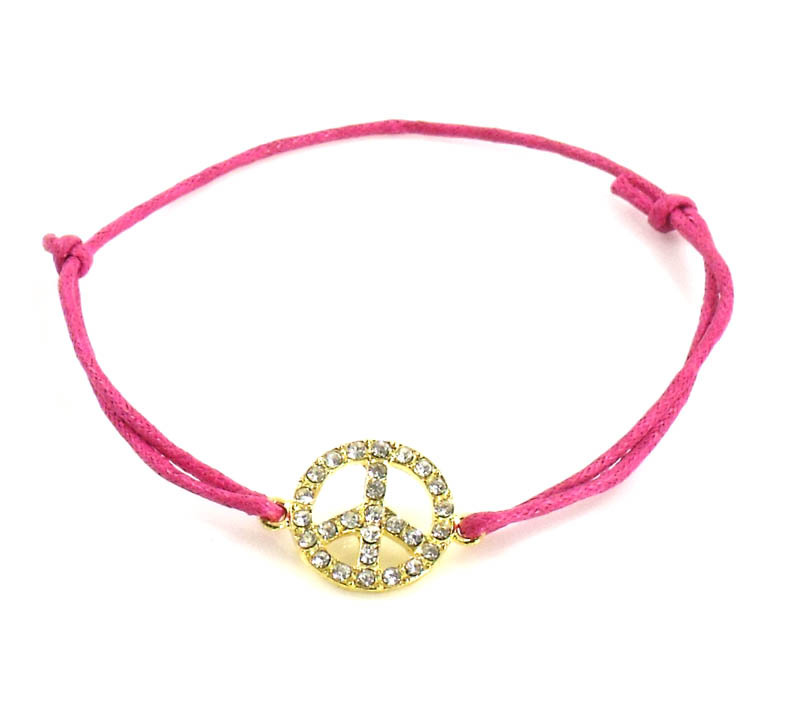 Awesome Pink Peace Sign Cord Bracelet, Fabulous . Urban Chic, a fashionable reasonably priced line of FUN Fashion Jewelry. Adjustable 6 to 9 inch, cotton cord, pave encrusted peace sign with gold tone. LOVE LOVE LOVE! This new fantastic line comes with Gift Box, to give to that special someone who wants to look and feel fabulous!